Linda Tiernan Kepner pays my blog a visit with her answer to the question What Literary character(s) would you like to have dinner with, and why? 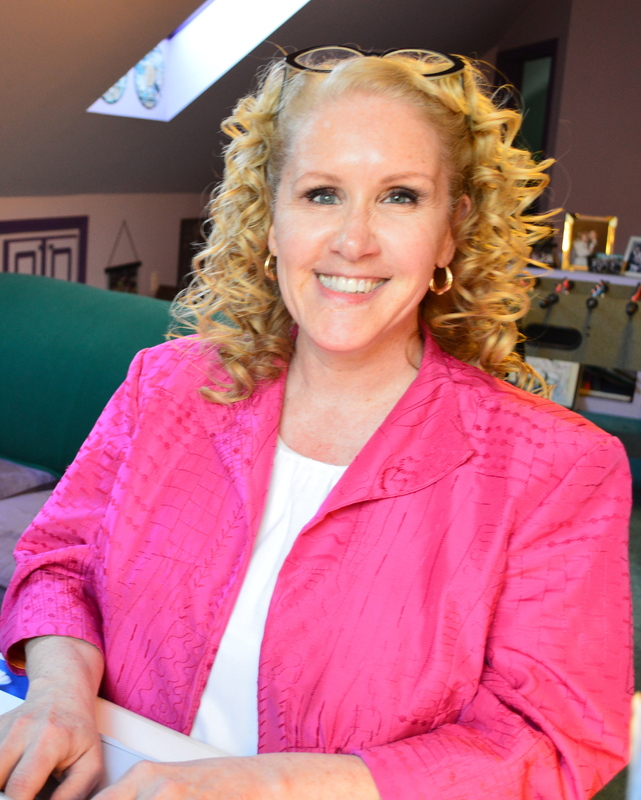 Another fab author from New England, Linda is part of my Meet the Authors series. Her book Vale of Vampires is available now. Check out the excerpt below. Her short story “Quicksilver” will be in “Decopunk,” an anthology to be released in July. The telephone rang. Drinan looked at the clock. Six o’clock on a Friday evening. A fine time for an emergency. Just when he wanted to get out of the office for a while, and play in the darkness. He could pretend he was not here; but he never did. 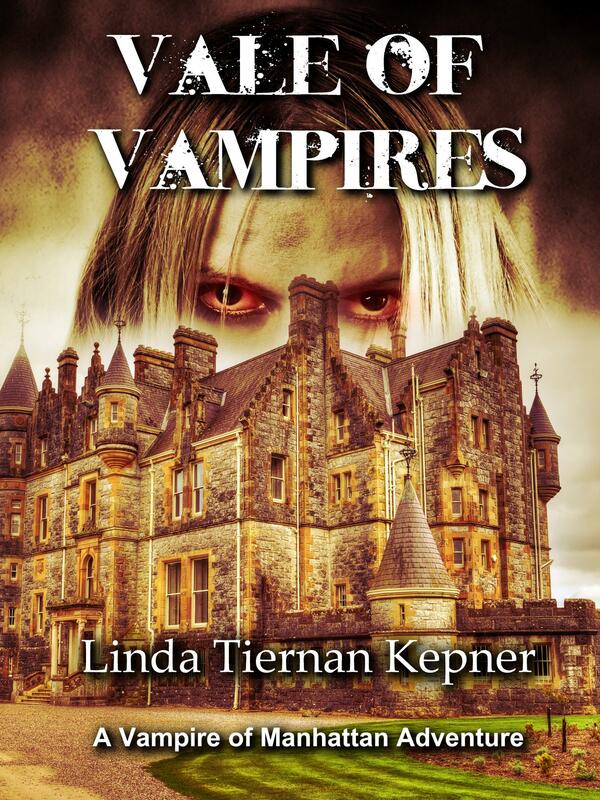 So far, Linda has published seven novels: Play the Game and Planting Walnuts (science fiction); Second Chance and Second Chance Sister (romance); The Whisperwood Ordinaire (fantasy fiction); and the paranormal series featuring the Vampire of Manhattan, Loving the Vampire and Vale of Vampires. 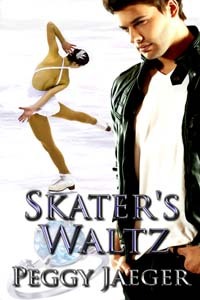 I’m thrilled to have Peggy Jaeger, author of Skater’s Waltz and There’s No Place Like Home, visit my blog. 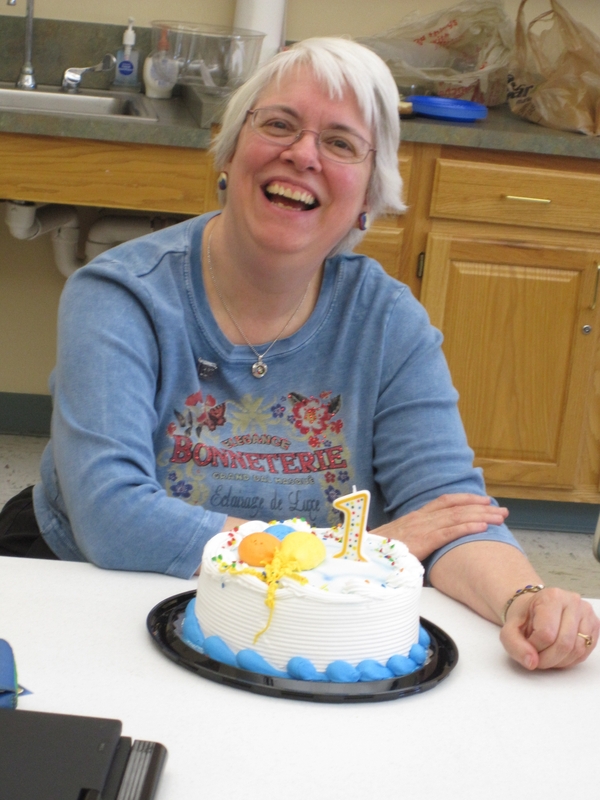 Peggy is another one of the fabulous authors from the New England area. For most of my life, I’ve loved reading mysteries. As a kid, I read Nancy Drew and the Trixie Beldon mysteries like they were sustenance for my starving body. As I got older, I discovered Agatha Christie and by the time she died, I had read every one of her novels and short stories at least twice. I never really read what were called “love stories” until after I had my daughter. 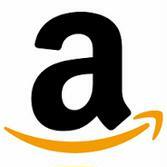 I was browsing through the bookstore one day, looking for a new author – since most of the ones I liked had died! – and I spotted a Nora Roberts paperback. It was Irish Thoroughbred. I read the back jacket and it seemed like I’d like it, so I took it home and read it. In three hours. I was absolutely hooked by the way she wove a story. The same day I went back to the bookstore and bought the other three titles they had in her name. They were devoured within three days. For the past 25 years, I have read everything published by Roberts, including her JDRobb works. By opening my reading world to romantic fiction, Roberts introduced me to a wealth of other romance novelists who have made my life so much sweeter and more exciting with their writings. the stories told around the romance are fun, sad, exciting, mysterious, thrilling, thought provoking and sometimes even just sweet. One delicate auburn eyebrow rose almost to her hairline. “Cocky self assurance has always been one of your greatest assets,” she commented dryly. Cole laughed again and pulled her down into a headlock. “Snot nosed princess,” he said, knuckle-rubbing her head. He’d been wrestling with her since she was a child. He’d taught her every subtle move to get the high ground, and in that moment she used the knowledge to her advantage. In one slick move, her arm came out across his neck, forcing his hold to loosen. When it did, she pulled her hand back and pushed forward, expertly flipping him in the seat. To recover his balance, Cole leaned back into the couch, grabbed what he hoped were her upper arms, and shoved. In a heartbeat, she was lying backward along the length of the couch with him spread out on top of her. Both were laughing and wriggling, each trying to get the upper hand. In 2005, she was thrilled to have an article on motherhood placed in the CHICKEN SOUP FOR EVERY MOTHER’S SOUL edition. She has won several awards in various Writer’s Digest short story and personal article categories over the years. Recently, she has placed first in the Dixie Kane 2013 Memorial Contest in the Short/Long Contemporary romance Category, and in the Single Title Contemporary Category, and third place in the ICO Romance Contest for 2013, and in 2014, she was a finalist in the Put Your heart in a Book contest. In 2015, she will have her first two contemporary romance novels published by The Wild Rose Press: Skater’s Waltz, book 1 in the MacQuire Women Series, and There’s No Place Like Home, book 2. Four more are in the works for this series, in addition to her Cooking with Kandy series. Facebook challenge: List 10 books that have left a lasting impression on you. I’m not one to do challenges, especially those that I have to tag 10 people to do it also, but when I thought about what I would list I also found the need to explain why. 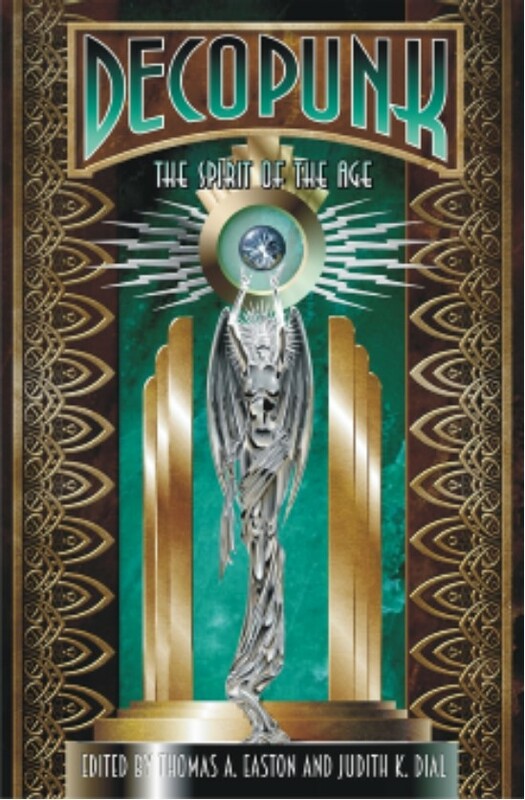 Out of the graveyard comes a ghost – the ghost of ten-year-old Miles Dibble. “I’ve been waiting a long time for you to come to Dibble Hollow, Cousin,” he tells Pug. “Now you must help me find that lost money.” From that moment on, the ghostly Miles leads Pug from one spooky adventure to another. Pug gets used to chairs that rock by themselves, shutters that bang mysteriously, and hair that stands on end. And all the while he follows the clues to the weirdest treasure hunt with the ghost of Dibble Hollow. What child wouldn’t want to buy it after reading that? I remember loving the characters and reading it multiple times. It also started a need for more books to read. Now, as an adult, I would never want to read this book again. Why? Because the magic came from an eight-year-old’s point of view. To read it again would kill the memory of a great book. The Happy Hollisters is a series of books about a family who loves to solve mysteries. The series was created by the Stratemeyer Syndicate and entirely written by Andrew E Svenson under the pseudonym Jerry West. Helen S. Hamilton illustrated the books. My mom started feeding my need to read by enrolling me in The Happy Hollisters book club. Every month I would get one or two books about a family of five children ages 4-12 who always found themselves in the middle of a mystery. Realistic? I think not. The four-year-old never had a day where she was over-tired and cranky. The twelve-year-old brother never teased and made his little sisters cry. The mysteries and adventures were fun and I read each book in a day, maybe two. I read these and others up until the time I starting spending my summers with my cousins who lived in a Delaware beach town. At that time, it was pointed out to me by my very wise relatives, that I spent way too much time with my nose in a book. I stopped reading—unless it was required for school. You don’t figure it out, until you are much older, that listening to others sometimes isn’t the wisest course of action. When I was twenty, I dated a guy who liked Stephen King. So I read Stephen King. I’m not much of a fan of horror, but I did like Stevie’s books. I read quite a few of the early ones, but The Stand was a story that stuck with me over the years. I categorize it as EPIC. After writing this blog, I need to grab my copy off the keeper shelf and read it again. EPIC. I’ve read other books by Tolkien The guy is tough to read and these three are the only ones I would read again. The movies aren’t bad but don’t hold a candle to the books. I borrowed them and now I think I need to go buy a copy and read them again. 5) Hitchhiker’s Guide to the Galaxy (series) – Douglas Adams. I found out the answer to the ultimate question of life, the universe and everything in these books. This book represents my jump back into the world of reading. Seriously, items 3 – 5 are about the only books I read after the Hollisters. We’re talking a thirty-five year gap in reading that was filled with, maybe, thirty books. Why did I start reading again? It wasn’t some great revelation that brought me back to books—I bought a travel trailer. Yup, that’s it. I spend many weekends competing in dog agility and I bought a trailer to camp on site. No TV led me to Barnes & Noble with the express purpose of finding a book to read before going to bed. The back cover of Storm Front grabbed me and my, now nine-year, love affair with Harry Dresden began. This book also opened the floodgates for me. I now read 2-3 books a week. I’m a romance writer and if you notice, not one of the above is in the romance genre. The last four on my list are romances. Acheron and Styxx are twins. I have read the Dark Hunter series multiple times. Kenyon has taught me a great deal about world building. Someday, I hope to build a fantasy world with as much detail and complicated plots as Kenyon. Just when I thought no one could equal Kenyon, I pick up the first of JR Ward’s Black Dagger Brotherhood books. Blown away. They are urban, edgy, and Ward doesn’t have any issue with killing off major characters. The books are a different vibe from Sherrilyn Kenyon and I would be hard-pressed to pick one author over the other. EPIC. Jamie and Claire take you on a historical journey. This is a romance that spans across time. What are the books that have left a lasting impression on you? Page post not on your subscriber’s Facebook timeline?